Reaching the end of the 2017/18 football season, The Sports Office clients have had phenomenal results. The Champions of the Premier League and finalists of the Champions League, along with League 1 winners and the Women’s Super League cup finalists are among a few TSO Clients. Manchester City, Liverpool FC, along with Wigan Athletic have successfully taken on board The Sports Office systems. 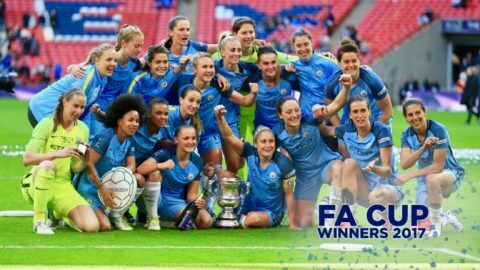 Both Women’s Super League Cup finalists, Arsenal and Manchester City Ladies use The Sports Office systems to help maximise their chances of success. Stuart Jones, Client Manager said, “It’s fantastic news for the company and we are delighted to be associated with the most successful teams in men’s and women’s football. Clubs, academies and federations use our systems globally to provide support to senior management, player personnel and athletes. Find modules for coaching, medical and conditioning, scouting and recruitment. Furthermore, the centralised systems include an extensive range of features, to support all departments required by the club. Some of our features include video, intra-club communication, finance and report generation. To use the performance management systems of elite soccer champions, contact us. The Sports Office is delighted to be chosen to supply Melbourne City FC with an online performance management system. The club – which is part of the global network of organisations owned by reigning Barclay’s Premier League champions Manchester City – compete in Australia’s rapidly developing A-League. The Sports Office supply performance management systems to several elite football clubs who play in the world’s most high profile competitions. These include Manchester City in the Barclay’s Premier League and Toronto FC in the MLS, in the United States. The Scottish FA have also chosen to use The Sports Office’s software at all seven of their Performance Schools throughout the country.